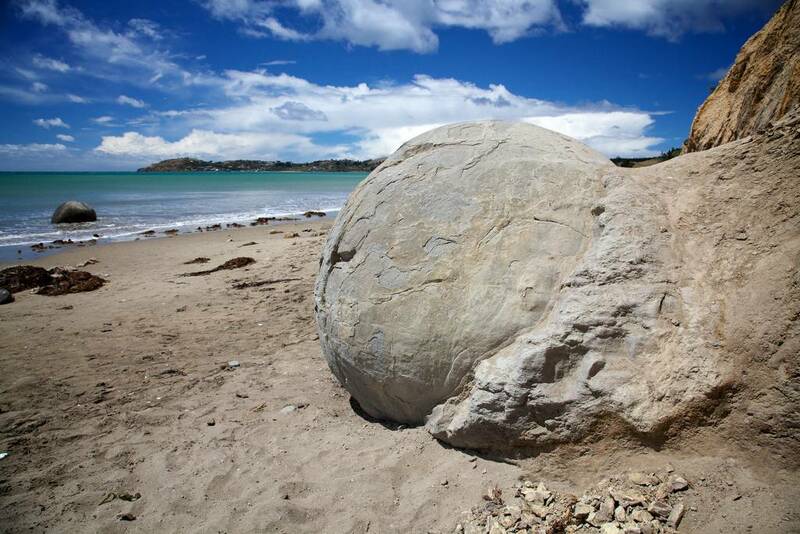 If you go down to Koekohe beach in New Zealand you can be sure of a big surprise. 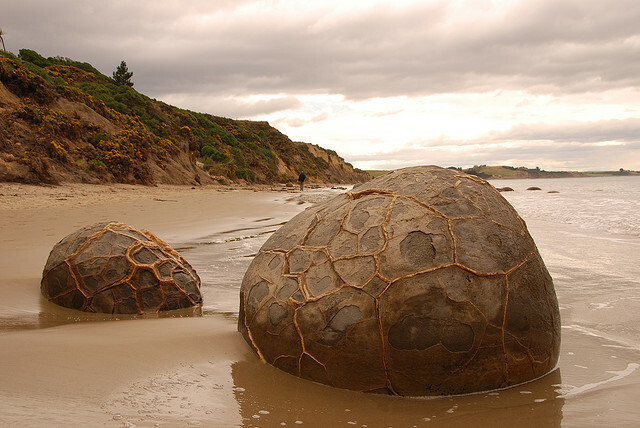 In front of you, scattered like enormous marbles from some long abandoned game between giants, are hundreds of giant spherical rocks. 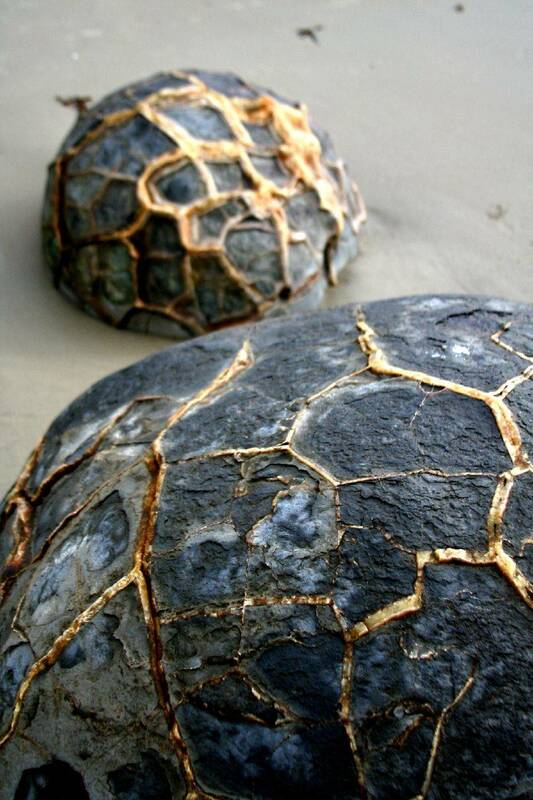 Or are they the egg shells of sea-born dragons? 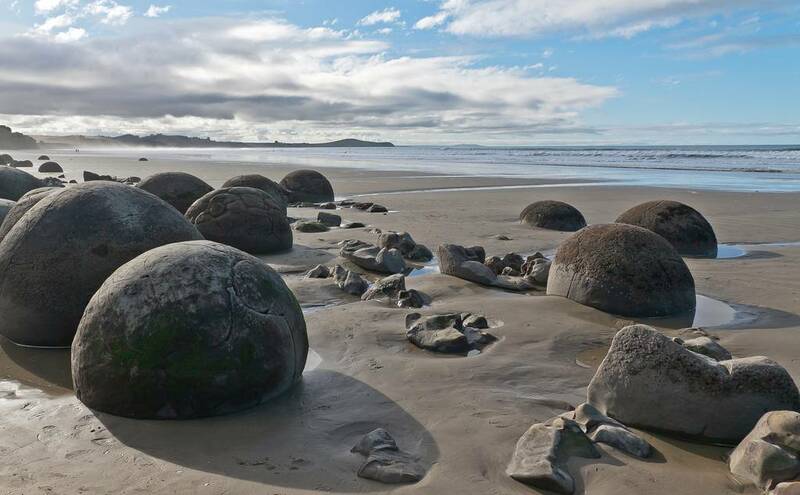 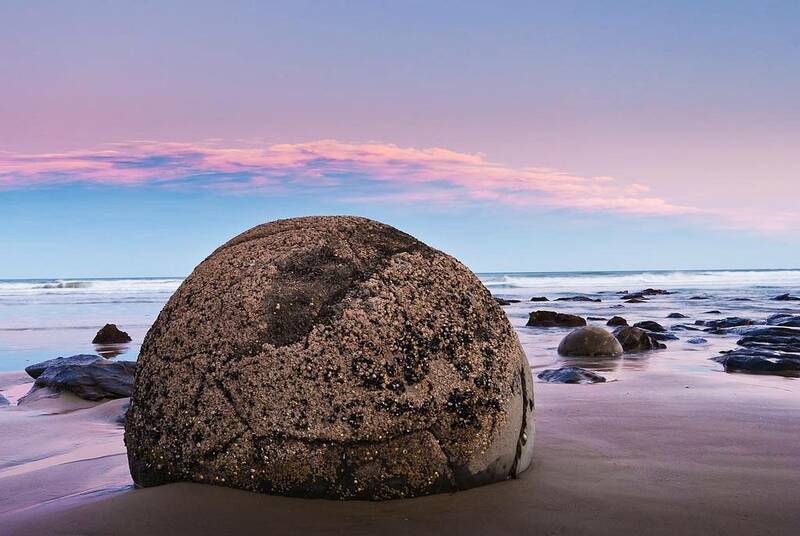 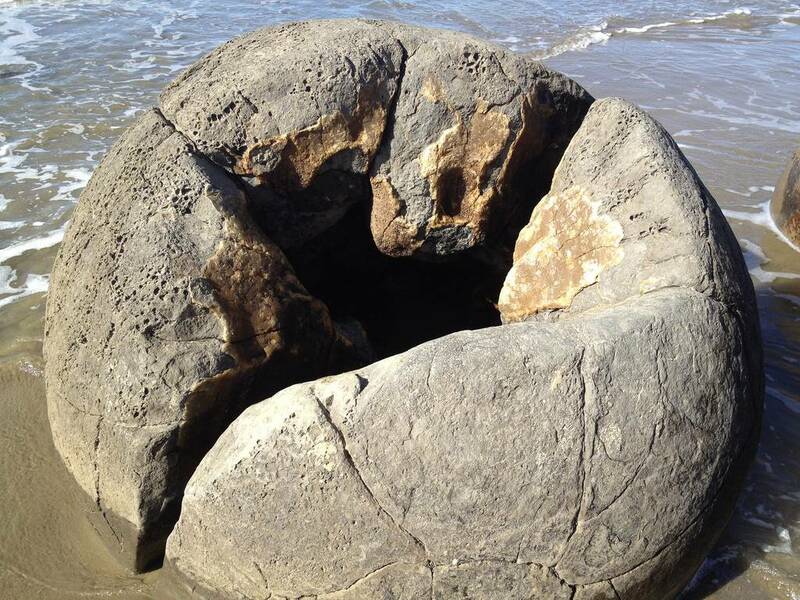 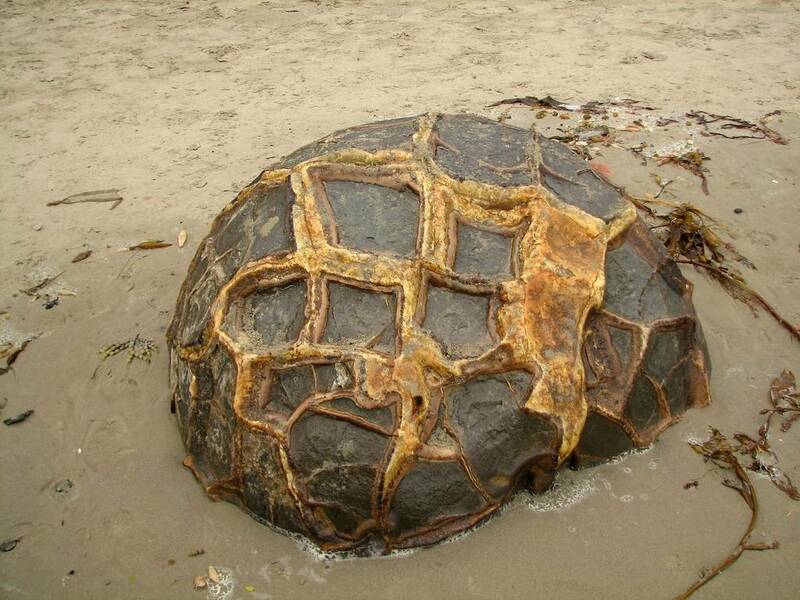 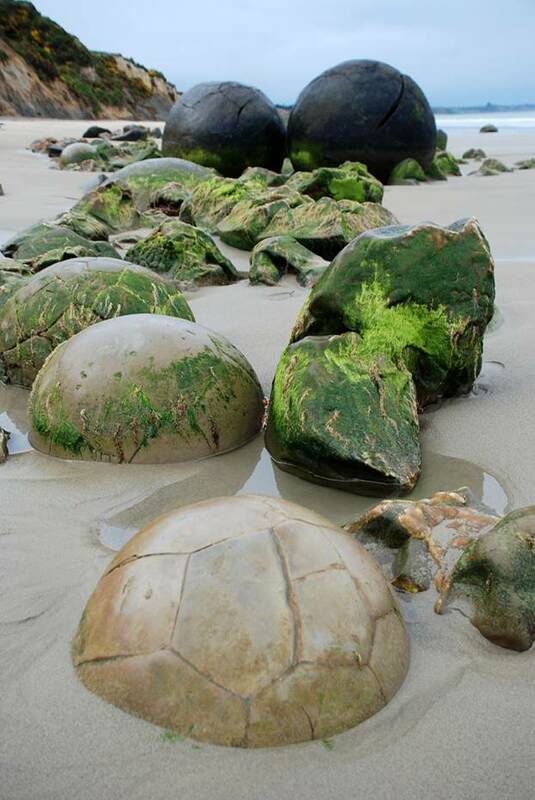 The Moeraki boulders present us with a mystery – what are they and how on earth did they get here? 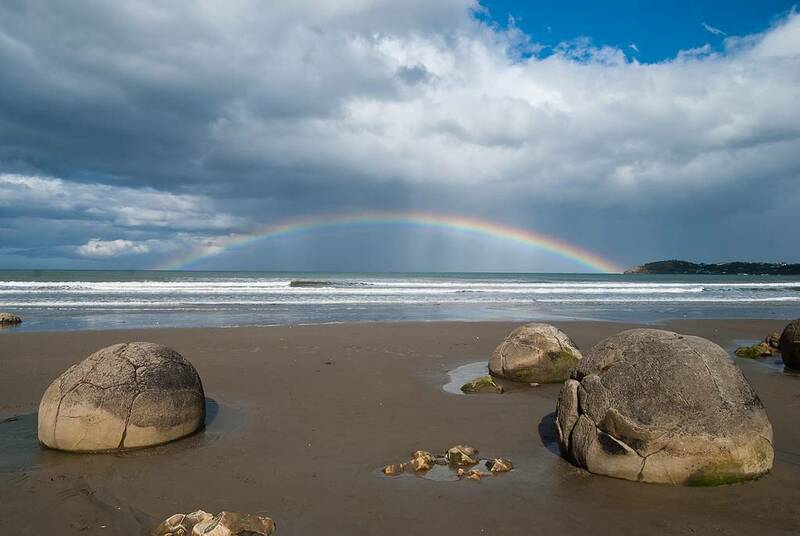 Image Credit Flickr User Dave_apple Many of the Moeraki boulders give the impression of being completely spherical – and they almost are. 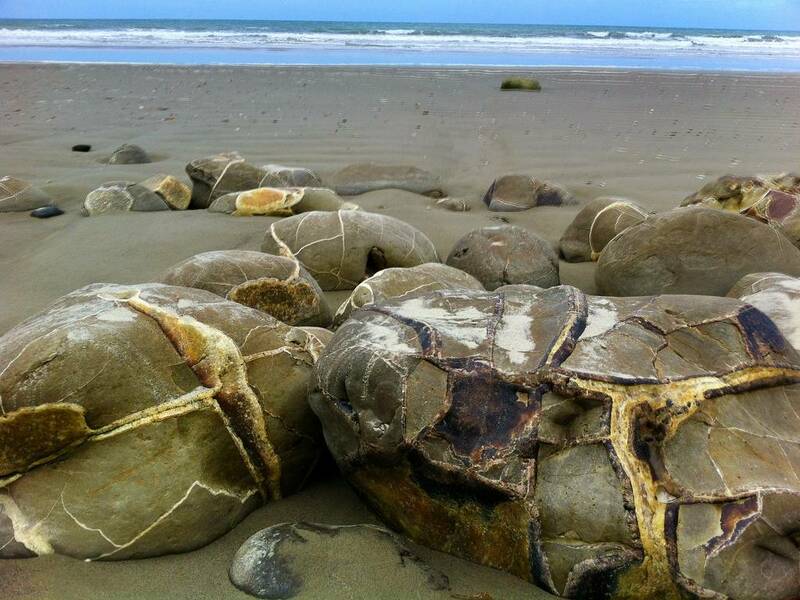 They are septarian concretions – a sedimentary rock that has had the space between its individual grains filled up by minerals which acted like cement. 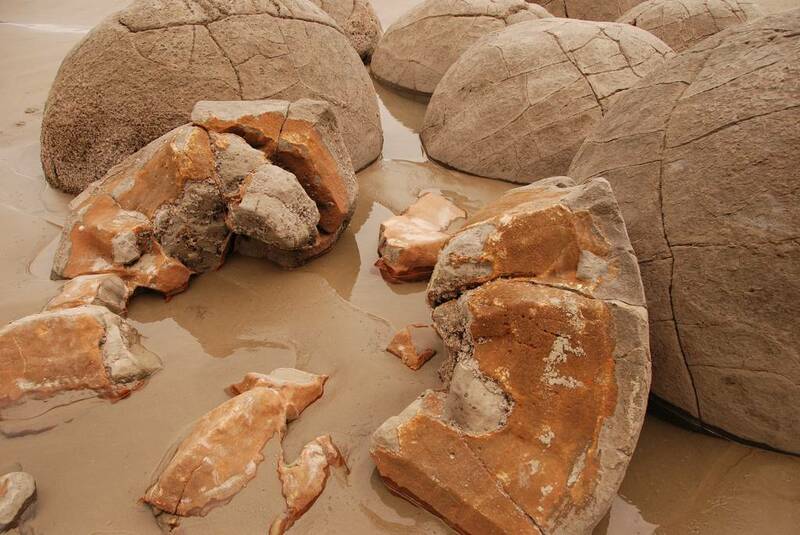 Concretions form inside the layers of mud and clay and are not, as some think, boulders buried over time. 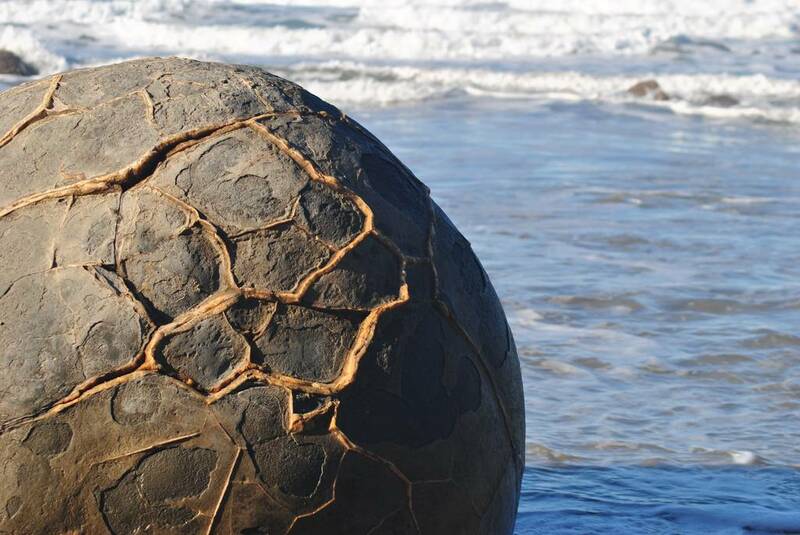 Yet sometimes time does ravage them and they split or simply fall apart. 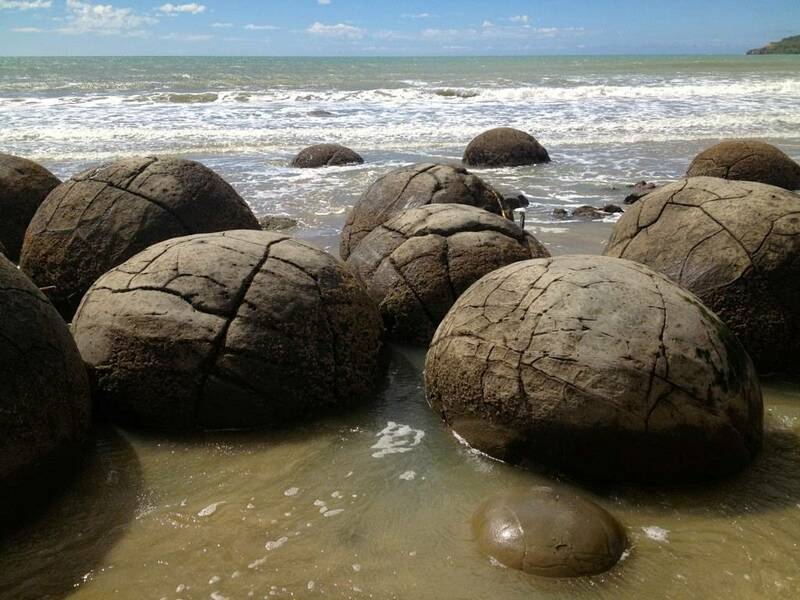 The Moeraki boulders date from the Paleocene epoch which translates as the early recent. 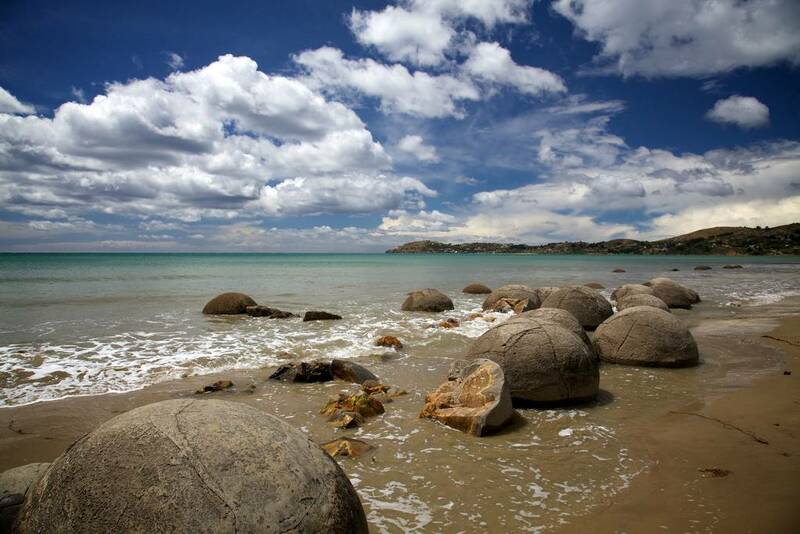 In geological terms that may well be true, but that means that the boulders are at least fifty six million years old. 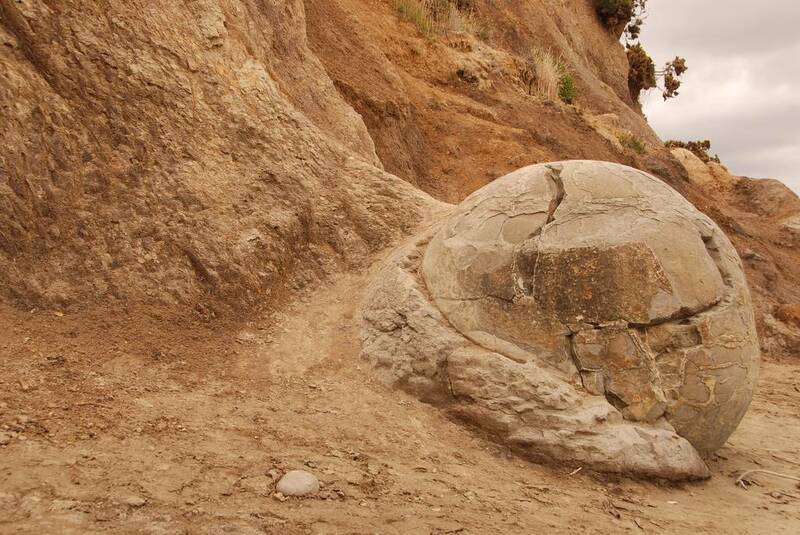 Our own mammalian ancestors during that epoch were mostly small and rodent like. 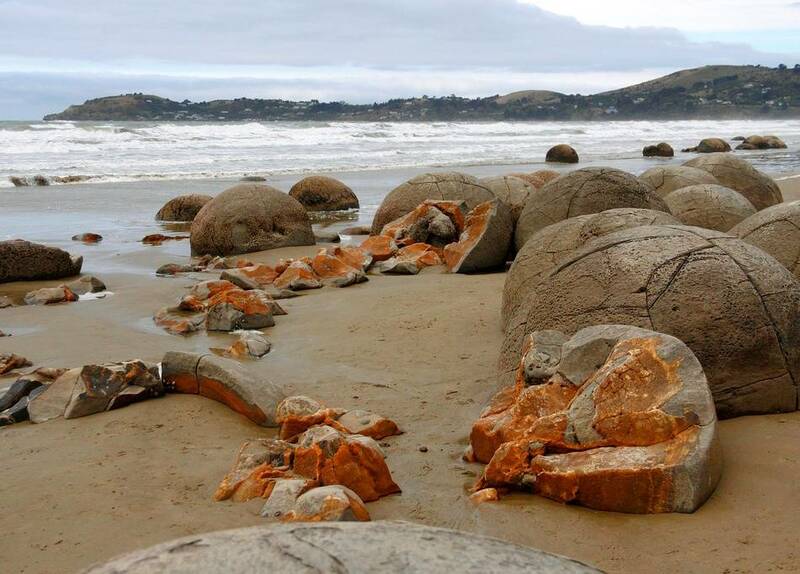 As you can imagine, there are many Māori legends concerning these hollow boulders. 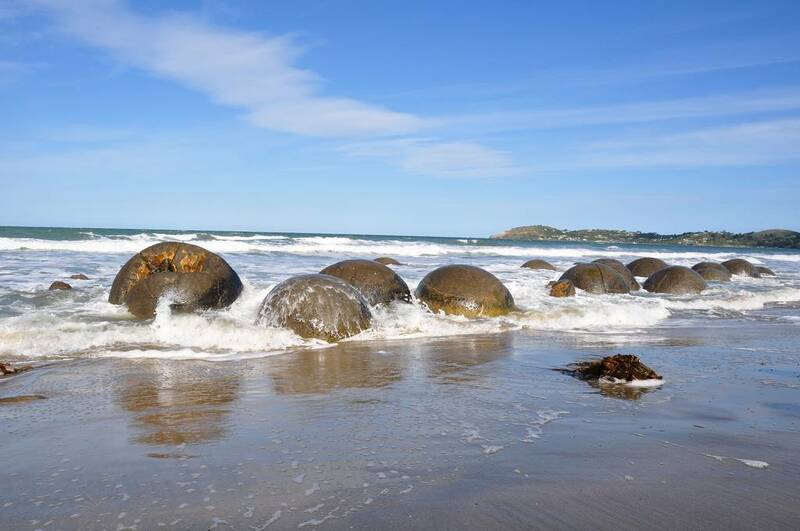 One says that they are eel baskets that came ashore when a large canoe was sunk. 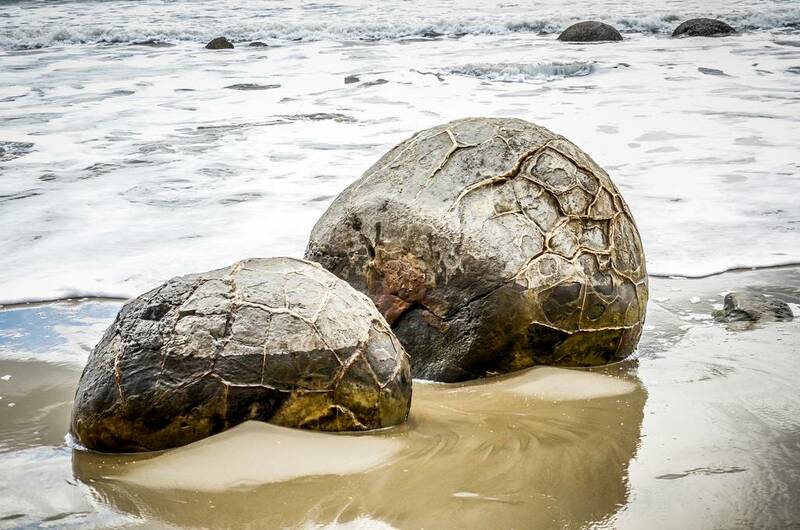 The reality is perhaps stranger than the legend. 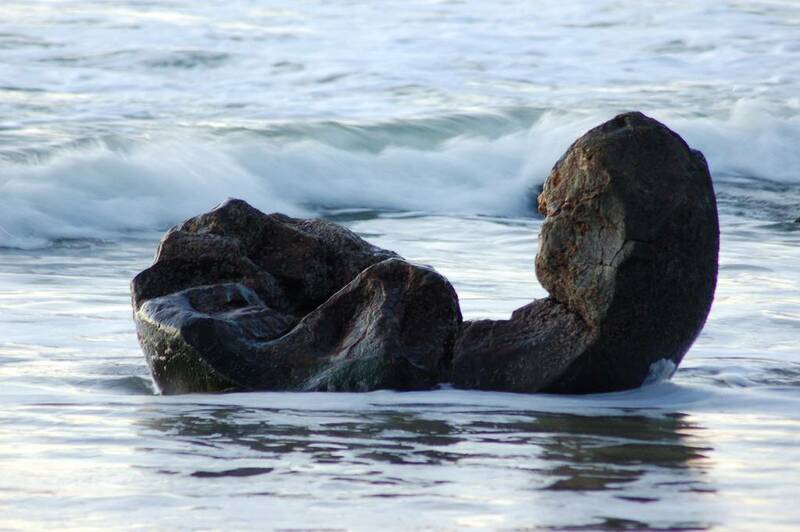 This article first appeared in Kuriositas on 27 September 2010. 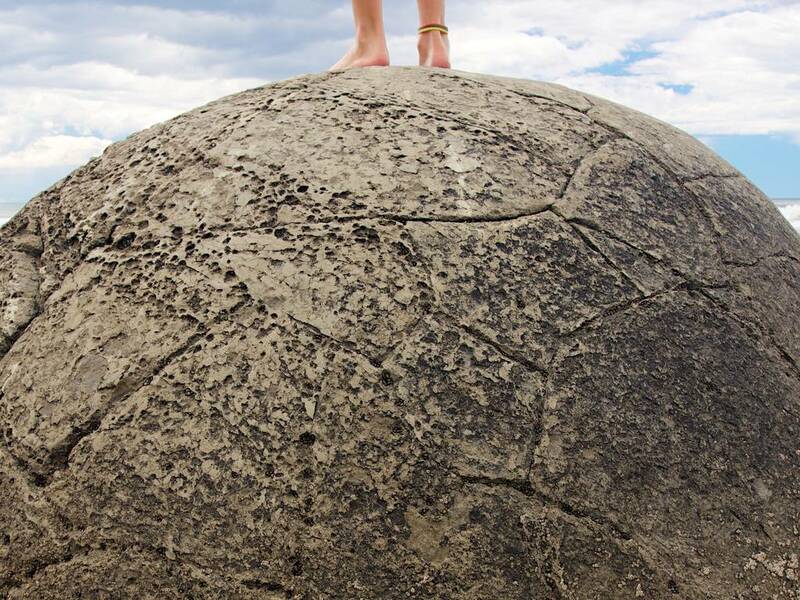 We have changed the majority of the pictures, however - but it's the summer: you get repeats!